Michelle has been in the Real Estate business for the last 13 years and is the Bay Area's Top Agent for 2016! She has worked tirelessly to build a reputation based on customer service and experience. 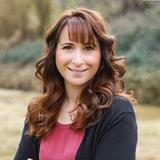 She serves Solano, Napa, Marin, San Francisco, San Mateo, and all surrounding counties. Her favorite part about real estate is seeing a happy buyer or seller with a smile on their face!